KEY FEATURES: Annual herb to 1.5m (normal form). GENERAL NOTE: There is not much agreement among botanists on the species status of the three plants we are including in this species. 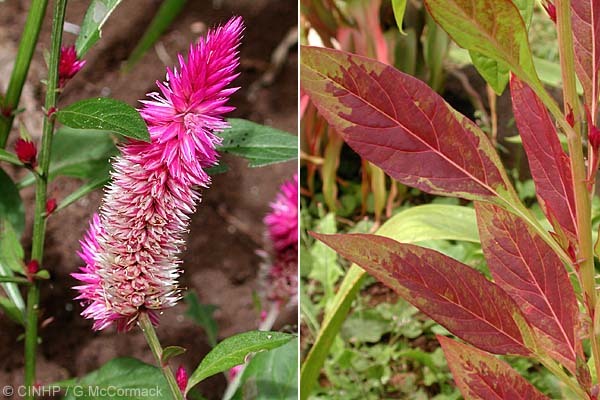 It is agreed that the simple-flowered Celosia argentea has 1-few spikes of purplish flowers. They also agree that the plume-flowered plants and the crested- or cristate-flowered plants were derived from the basic form. 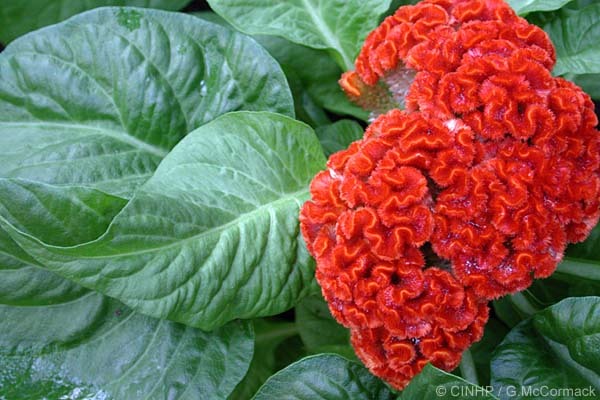 Therefore some scientists refer to them as Celosia argentea Flume Group and Celosia argentea Cristata Group. 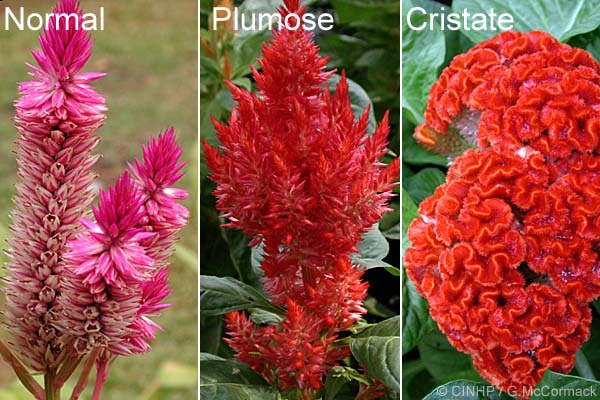 Other scientists raise these derived-forms to subspecies level as Celosia argentea plumosa and Celosia argentea cristata. 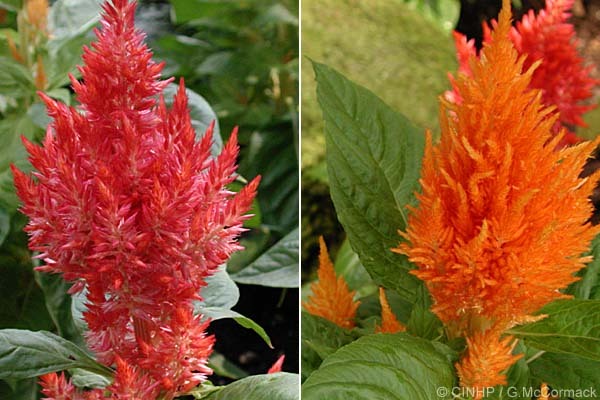 Yet other scientists raise these derived-forms to species level as Celosia plumosa and Celosia cristata.